As people age they often find that certain areas of their body begin slow down, weaken, or lose performance ability. Knees begin to hurt, backs get sore, and our eyesight may even begin to deteriorate. Memory is no different from eyes, knees, and backs. Remembering names, directions, phone numbers, and fine details can become much more difficult. Retaining new memories can feel like a challenge. When your back is sore you often know how to resolve the soreness. First, you can take an over the counter pain reliever. Of course, that only addresses the pain and not the root cause. Doing yoga, going to physical therapy, exercising, and losing weight can all help improve back pain. But what do you do when your memory begins to lose performance? Choosing the right vitamins for memory can be one of the best ways to see improvement. It makes a lot of sense if you think about it. Our muscles need vitamins and nutrition to power us through our day and the brain is one of the most energy demanding parts of our body. It would only stand to reason that the brain requires proper vitamin supplementation just as much, if not more, than any other area of the body. Deficiencies of certain vitamins could hinder memory performance, certainly. However, there is also the argument to be made that deficiencies of some vitamins may even accelerate memory disorders and addressing those deficiencies can slow down the progression of disorders. So, what are some of the most important vitamins to include in your diet and supplementation regime to ensure your memory is working at peak efficiency? Let’s take a look. 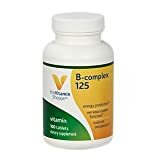 There is ample research to suggest a connection between vitamin B-12 and memory function. In fact, you could argue that B-12 is one of the best vitamins for memory. Mayo Clinic experts suggest that B-12 deficiency could cause reduced memory performance and some studies have shown that supplementing with B-12 has a direct correlation with improved memory. B-12 is very important for our brains. Nerve cells and red blood cells are maintained by B-12. Where in the body might you find a lot of nerve cells and red blood cells? The brain, of course. There have been some studies that even go as far as to suggest that low vitamin B-12 levels could be linked to an increased risk of dementia. B-12 is in a lot of the foods you consume. Meat, poultry, and seafood is rich in B-12. This is why vegetarians are at a greater risk of B-12 deficiency. Supplementing B-12 is great for people with low B-12 levels but there is little to suggest that people who get enough B-12 in their diet can benefit from additional supplementation. Vitamin B-6, also known as Folate, is an important vitamin for memory. Folate helps maintain oxygen levels in your red blood cells. Low oxygen levels often lead to signs of tiredness. People who are tired are not known for their great memory. There’s a reason your mom would tell you to get a good night of rest before the big exam at school. Just in case you thought that might be an old wives tale, there are studies that back up sleeping before an exam. In fact, it may be even more beneficial to get a good rest rather than a late night cram studying session. Supplementing Folate is a great way to avoid tiredness that isn’t a result of missing out on some valuable hours of sleep. A folate deficiency means red blood cells are not getting the oxygen they need. Since those blood cells carry oxygen to all areas of your body, including the brain, it would make sense that memory performance could be reduced due to Folate deficiency. The “E” in vitamin E might as well stand for “essential” when it comes to memory performance. Above, we discussed B-12 and its ability to protect nerve cells. Vitamin E protects the neural linings that also protect the nerves. Vitamin E and B-12 work together on two different layers to ensure nerves are protected. Vitamin E is like a skilled seamstress that fixes your winter jacket. The best, most expensive winter jacket won’t help if there are holes for the cold wind to pass through. Simply getting the daily recommended dose of Vitamin E is enough to provide the essential nerve protection needed. Over supplementing will not show additional benefits and may even cause health problems. DIRECTIONS: As a dietary supplement, take one (1) tablet daily, preferably with a meal. A balanced diet and well-planned supplementation routine should be enough to provide the important vitamins needed for memory performance. Eat a wide variety of foods and be sure to address any deficiencies with the best vitamins for memory on a daily basis.